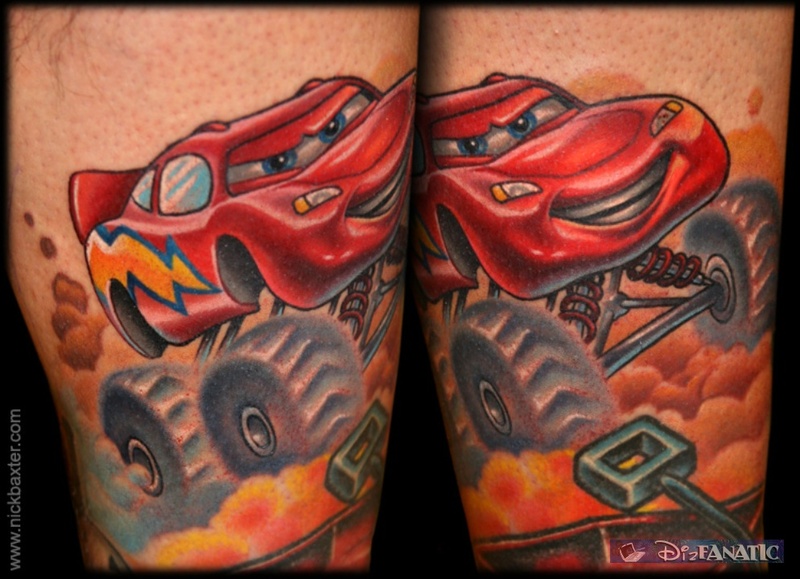 Mickey Ink °o° - Disney Pixar Cars Tattoos! 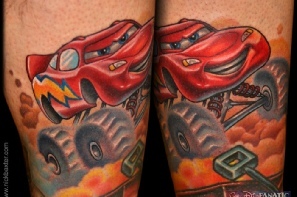 Disney Inspired Tattoos: Disney - Pixar Cars! Newer Photos on the bottom of the page. Disney art touches so many people. 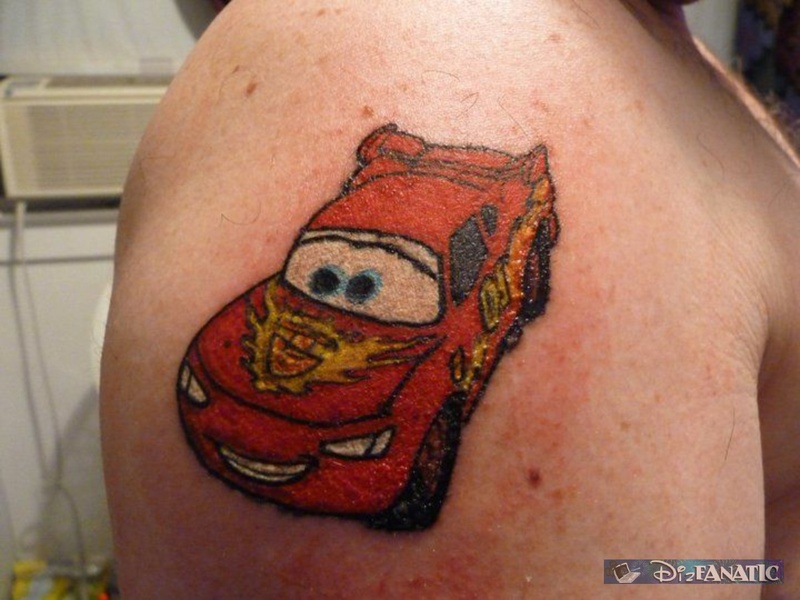 Some people love to express their love of Disney art through body art. Here are photos of some of our fellow DizFanatics and their personal expression of their love of the art. If you have a Disney, Pixar, Star Wars, Marvel or Muppets tattoo that you would like to share, please submit your photo to us and we'll gladly post it. And a big thanks to those of you who already have. New Ink On The Bottom of the Page! 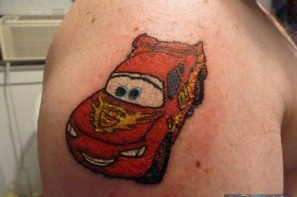 Jeff shared his Lightning McQueen tattoo! Nick Baxter shared this Monster Truck Lightning McQueen with us. Check out more of his work at his website at NickBaxter.com.